C. Decorative Paint has established in Phuket, as a representative of Wattyl Dimet (Siam) Limited, Sherwin-Williams, Jotun and Lanko. Wattyl Dimet (Siam) Limited has acquired Wattyl's technology as well as Ameron Protective Coatings technology, which the company have been licensed for more than 20 years in Thailand. We currently produce high quality Timber Finishes, Decorative Paints, and Metal Coatings under Wattyl's technology. The technology from Ameron is growing stronger and stronger with the concern of environmental friendly and high performance in protective steel structure, and masonry. We currently produce high quality Timber Finishes, Decorative Paints, and Metal Coatings under Wattyl's technology. The technology from Ameron is growing stronger and stronger with the concern of environmental friendly and high performance in protective steel structure, and masonry. 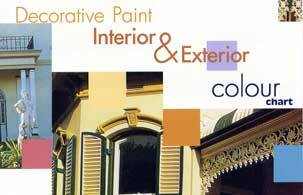 We have Paints, Primers, Faux finishing and Stains direct from Sherwin-Williams at reasonable prices. The Jotun is one of the world's major manufacturers of paints, coatings and powder coatings. We provide cost-effective paint and coatings products, and provide customer service and technical support, to residential, marine and industry. The Lanko brand includes comprehensive ranges of floor levelers, concrete repair and structural grouting mortars. In Western Europe Lanko is the market leader.